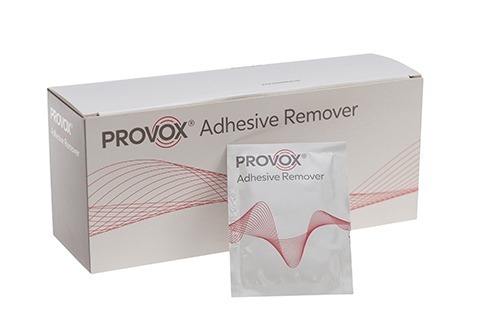 Provox Adhesive Remover is a wipe that will help make it easier to take off the adhesive at the end of the day. It’s important to remove the adhesive slowly and carefully, to avoid damaging the skin. The remover wipe helps to do this. Non sterile, for single use.